The Republic fishing team takes 2nd place at state. Our look back at the top stories of the year is sponsored by the Republic Mud Run, southwest Missouri’s only mud run that’s exclusively for youth! The first got Mud? Run will be held Saturday, August 29, at Brookline Park. It will feature three age divisions (5-7, 8-10, and 11-15), with age-appropriate obstacles for each. Get more information at RepublicMudRun.com, or get registered online right now. Republic is the birthplace of competitive high school fishing in Missouri, thanks to coach Jim Huson. So it’s not surprising that the Tiger fishing team has been one of the dominant forces since competition began. And 2014-15 was no exception. After winning a state title the year before, Republic followed up with a second-place finish against much stronger competition. Brandon Durr and Hunter Gill led the way for Republic, with a second-place finish and a final total weight of 21.87 pounds during the two-day. Republic’s Jase Houchin and Colton Mease finished fifth overall, with a total weight of 20.05. All five of Republic’s boats finished in the top half of the field. Cameron Beck and A.J. Calhoun finished 13th. Cory Lafferty and Jace DuVall finished 18th. Gerald Snook and Josh Perkins finished 30th. 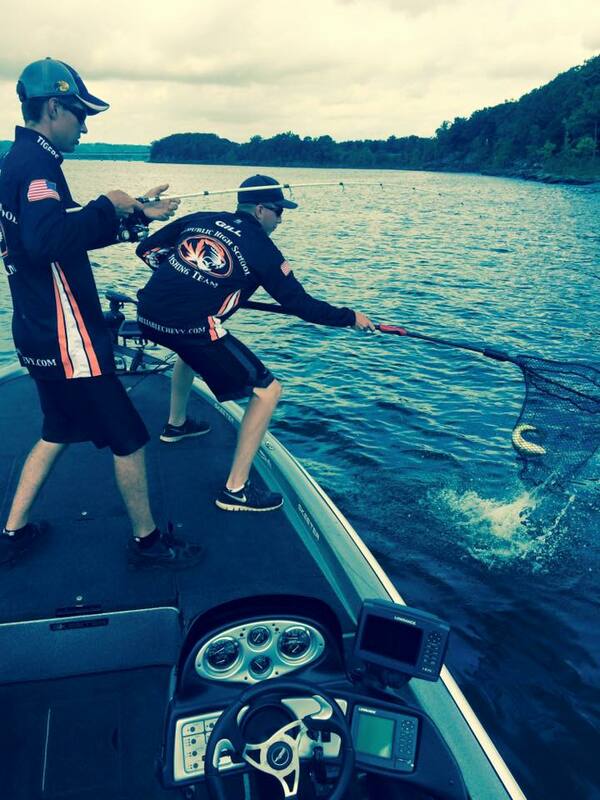 For their continuing success, you voted the Republic bass fishing team the #7 story of the year in 2014-15.